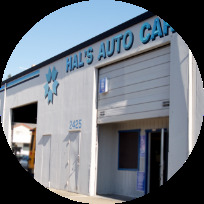 Hal’s Auto Care is a premier Auto & light truck repair facility offering a full menu of automotive services for all makes and models, foreign & domestic cars & light trucks. From brakes to tune-ups, to technical computer diagnostics Hal’s Auto Care can handle all of your automotive repair needs. So relax, your vehicle will be in good hands at Hal’s Auto Care. MID-SIZED TRUCKS AND BUSES Hal’s Auto Care has the capability to handle all of your mid-sized truck repair needs. Fuso, NPR, Internationals, F series & mid-sized multi-passenger buses are no longer a problem. Servicing this size of vehicles requires not only mechanical ability but also the right tools for the job. Our facility and technicians are equipped to handle the specialized needs of this demanding market. Due to the increase in liability associated with these large vehicles no corners are cut. Only the finest components available are used to maintain these types of vehicles. So why continue spending big bucks at those expensive truck dealerships? Does the repair facility have the ability to identify what type of refrigerant your vehicle has in it? 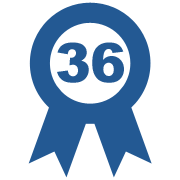 Most vehicles prior to 1993 use R12 refrigerant and vehicles produced after 1993 used R134a refrigerant. The problem is when a shop does not have the ability to identify refrigerant types they may be recycling contaminated systems through their equipment unknowingly. They then will put it in your vehicle thus contaminating your vehicles a/c system. This will lead to poor performance, premature failure of a/c components and additional costs to you when these contaminates have to be removed for repair. Does the repair facility flush out the a/c system when a compressor is replaced? When an a/c compressor fails it will leave small fragments and particles in the system. If not chemically flushed from the system this debris will lay waiting to enter your new compressor and cause it to fail prematurely. 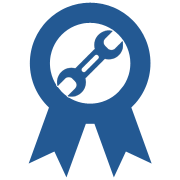 Does the repair facility have experienced and certified a/c technicians? Working on automotive air conditioning systems can be overwhelming to someone that does not have experience and understanding of how each component operates and contributes to the overall operation of you’re a/c system. Just adding refrigerant to a system may be inexpensive, but it does not fix why it leaked out in the first place. Does the repair facility offer a warranty? 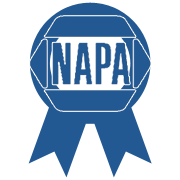 If repairs are performed properly and quality parts are used any repair should last a reasonable amount of time. If the repair cannot be warranted for 3 years you should be asking why not! Does the repair facility use only new a/c parts? Used and rebuilt a/c parts may seem like a cost effective alternative for a/c repairs. But in the long run they will almost always cost you more when they operate for short period of time. Quality parts and professional repairs are the only way to have a long lasting repair. Does the repair facility know how to do a proper retrofit for my pre-1993 vehicle? Some repair shops just change fittings and refrigerant and call that an R134a retrofit. Don’t be fooled or taken. To do a proper retrofit (R134a-conversion) on an older vehicle that uses R12 refrigerant. Requires completely chemically flushing the entire a/c system. equires changing the drier or accumulator. Requires that the vehicle’s condenser has adequate airflow and is capable of condensing the new refrigerant to provide you quality cold air out of your vents. You can be assured that Hal’s Auto Care can provide you with the absolute best in automotive a/c service. Our a/c technicians know how to have your vehicle ready to deal with Sacramento summers! No current promotions available. Check again soon. Please call for warranty details.